You've saved up for a trip to Disney World and your kid desperately wants to meet Anna and Elsa from "Frozen." Don't leave it up to chance, or you just may get frozen out. 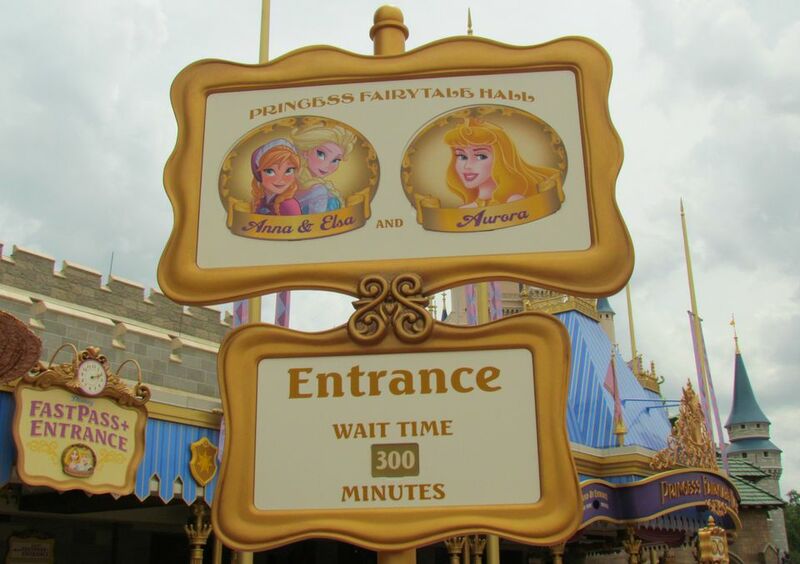 As you can see in the photo above, the wait to see Anna and Elsa was 300 minutes long. The day the photo was taken, it wasn't school break or a holiday, just an ordinary spring day—a weekday at that—when school was in session. 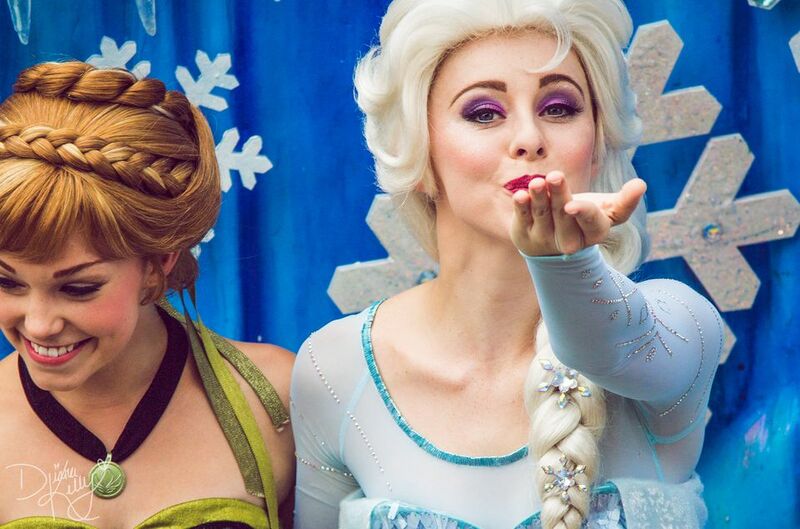 Want to meet the wildly popular princesses? Read on for strategies. Anna and Elsa spend every day at Princess Fairytale Hall in the new Fantasyland inside the Magic Kingdom. With the My Disney Experience planning system, you can reserve a guaranteed meeting with the sisters with FastPass+ even before you leave home. If you're staying at a Disney hotel and book your park tickets in advance, you can book your FastPass+ up to 60 days in advance. If you're not staying at a Disney hotel but have purchased your Disney World park tickets, you can book your FastPass+ up to 30 days in advance. If at first, you can't land a FastPass, keep trying. People can and do change their FastPass+ times, so times open up. Also, try looking for the bare number of FastPasses your family needs. For example, if meeting Anna and Elsa a must-do for your young daughter but your teen son couldn't care less, then try to book just two FastPasses, for your daughter and one adult. It will likely be easier than finding FastPasses for the whole family. If you are still coming up empty, try Plan B and Plan C below. In addition to their usual daily all-day visiting hours at Princess Fairytale Hall, Anna and Elsa also greet visitors from 8 am to 9 am at least one day per week during Extra Magic Hours in the Magic Kingdom. If you are staying at a Disney hotel, you can take advantage of Extra Magic Hours and visit the princesses then. Every day, one of the four Walt Disney World theme parks opens one hour early. Check the Extra Magic Hours calendar to find out when the Magic Kingdom offers the extra hours during your visit. On that day, arrive before 8 am so you can be at the park entrance. When the rope drops, go straight to Princess Fairytale Hall. Being there first thing in the morning is your best shot at getting to meet the princesses. If you're not staying at a Disney resort or you won't be at Disney World on a day when the Magic Kingdom has Extra Magic Hours, then your next-best bet is to get to Princess Fairytale Hall as early in the morning as you can manage. As a bonus, you can get another good view of Anna and Elsa in the new Festival of Fantasy Parade, which begins every afternoon at 3 pm in the Magic Kingdom. If you like, you can even book a prime viewing spot with FastPass+.